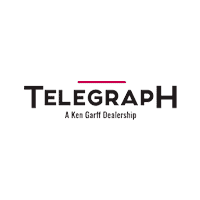 Telegraph Chrysler Dodge Jeep Ram | Chrysler, Dodge, Jeep, Ram Dealer in Taylor, MI " "
At Telegraph Chrysler Dodge Jeep Ram, we offer more than just competitive prices. Our Service Center is one of the top auto service and repair shops in the greater Detroit area. We offer you extra services that make your service trip as smooth and efficient as possible. Our staff is made up of Certified Technicians with all of the knowledge and experience needed to get your car up and running like new. Telegraph Chrysler Dodge Jeep Ram can help shoppers near Taylor, Detroit, Ann Arbor, Southgate, and Dearborn Heaights find the right auto loan or lease for their new and used car, truck, and SUV. If you are having a hard time choosing between a lease or a loan, we are happy to explain the details of each to help you decide. We will work to find you a new or used car, truck, or SUV you will love, along with a payment you can be comfortable with. Our experienced sales staff is eager to share its knowledge and enthusiasm with you. We encourage you to browse our online inventory, schedule a test drive and investigate financing options. If you have questions or concerns about your credit, you can fill out our secure online credit application and our finance team will try to help you. You can also request more information about a vehicle using our online form or by calling (734) 309-7247. If your vehicle is in need of regular maintenance or more serious service, our service department is equipped with the experience and technology to get your car running in top shape. You can call them directly or use our online scheduler to schedule your service appointment. If you don’t see the specific vehicle that fits your needs, use our vehicle finder service and we will gladly inform you when a matching car arrives. If you’d like to see a vehicle in person, click on Contact Us for step-by-step driving instructions to our site, or give us a call. We look forward to serving you! When you find a car that you want to check out, schedule your test drive online and then come by to check it out! We’re located in Taylor, but we serve customers from all over the area including Detroit, Dearborn, Southgate, Romulus, Dearborn Heights, and more!